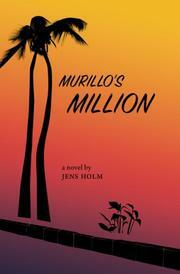 Holm details the convoluted dealings of a Filipino politician in this debut novel. Manuel Murillo has experienced a setback. “A congressman for nine years, with business interests in coconut oil, provincial bus lines, and property, Murillo was in his late sixties and no longer the strong man he had once been.” He has recently lost a senatorial election that should have been his. What’s more, he’s been contacted by a mysterious priest who seems to know a lot about Murillo’s past dealings. Meeting at a restaurant in Manila, the priest outlines a peculiar crisis at a shipping company in distant Norway, where a businessman has disappeared after transferring $1 million to the Filipino capital. The money is unaccounted for. Murillo knows that the funds—a kickback—had been meant to help him with his campaign. What he doesn’t know is why the priest keeps bringing up a teenage former mistress of Murillo’s from more than 20 years ago: a girl he put on a bus to Santa Rita but who apparently never arrived there. “Every day in every town in this country of ours, the rich and powerful take advantage of the less fortunate,” the enigmatic priest reminds Murillo. “I know only too well.” Holm unfolds his mystery through the meandering, detail-savoring narrative of the priest, while the reader sits, like Murillo, wondering where the tale is headed and what it all means. In the hands of a lesser storyteller, this rambling account might be frustrating, but Holm’s textured prose summons the energy and fatigue of the priest in such a way that it keeps the reader drifting forward with unsuspecting mirth. The true pleasure of the novel is the atmosphere, rendered in a language that evokes Manila’s chaotic fullness while still hinting at its ghosts: “The swell of people and vehicles rolled slowly southward, but the flood was smaller now because the commuters had started to trickle away into the dark landscape.” The intrigue is just serpentine enough to feel realistic, and while the conclusion is less than earth-shattering, the experience is more than satisfactory. An engaging, slow-burning political mystery set in Manila.